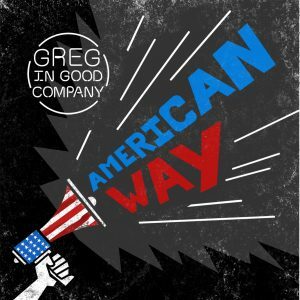 LA based Greg in Good Company has just released their first full length album, American Way. The album, whose title winks at the Superman credo of “truth, justice and the American Way,” takes a look at those ideals through the prism of our country at this moment in time. The songs are written for you to think, reflect and question. And that, is a very good thing. “Carrie’s Song” is a slow dance song of love and appreciation. It’s the only ballad of the ten tracks and it’s a little bluesy with a little gospel feel as well. It finds strength in its simple parts, gets a little muddy where the production is amped up but carries sweetness and honesty throughout. Added bonus is pointing out how little gestures can impact someone’s life. American Way opens with the title song and it’s full of observations of the world around us. Loud and fuzzy, it’s fast-paced and is a modern day protest song. Offering bits and pieces of our present reality, they are delivered as sound bites more than as an anthem. Greg in Good Company started out as Greg, Greg Gilman actually, as writer, lead vocalist and rhythm guitarist. As he added musicians, the band was formed. 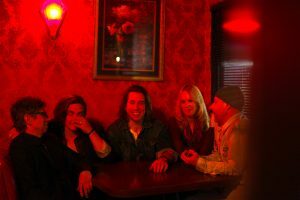 Those members: Lee (vocals,piano), Marty Vites (lead guitar), Alex U’Ren (bass), Alexa Brinkschulte (drums), seemed to be good company so that’s what they became. 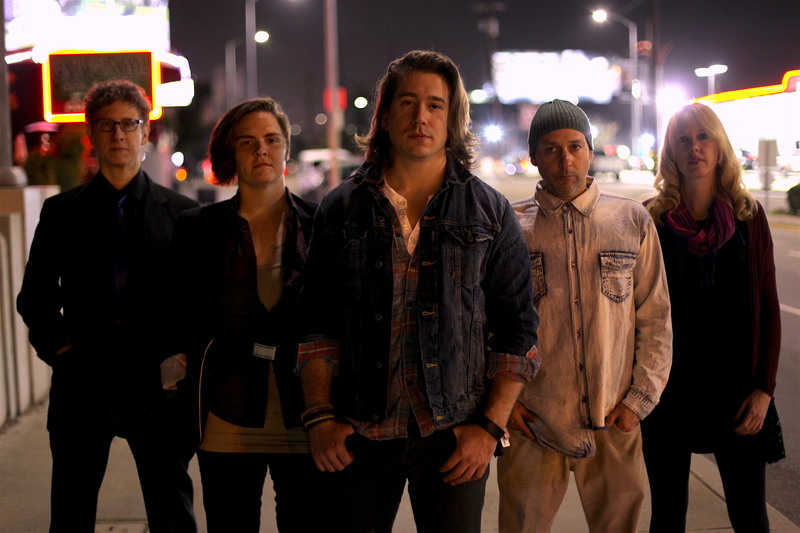 American Way travels through several genres as you listen track by track. With a strong indie-alternative flavor, its sound is refreshingly light as it balances against weighty topics. Overall, it’s fast and fun and ends off with a song called “Love.” A total 180 from the title song, so perhaps there is hope for us after all. The album ends with the line, “Because love is all that matters in the end.” How can you argue with that?